Mine tows well also, I just want the fancy backup system in the truck to work as well as the safety features like anti-sway, auto disable backup sensors, etc. You need the triangular sticker supplied with your tow package on your tow vehicle to get these features and the trailer icon only lights when you indicate left or right! The dealer installed the RR tow package on my 2016 diesel. I tow a boat that is about 6,500 pounds. It has hydraulic surge breaks so it doesn't need the brake controller. My question is that I also don't have any thing that seems to auto detect a trailer. I have to manually disable the parking sensors. That's not a big deal to me. But I do wonder if their are any other features that might not be working, primarily whether it should be changing the shifting points in the transmission while towing. My Denali had this when using the towing mode. Anyone have any information on this? I don't have the vision assist so I don't believe any of those camera related features will work on mine anyway but I do want to make sure any another features are working. It there a way to manually tell the system a trailer is attached? I'm in the same boat, no pun intended. I pull our boat (3000lb ski boat) and parking sensors go crazy, no backup views, etc. Another member in another thread is supposed to post some information on it. Anyone else with backup views and properly working tow mode, please list the service bulletin number for us others who can't get our service advisors to install the right software. I agree and thought once plugged in the trailer lights the car was supposed to detect the trailer, I have had no evidence of this. I did find one thing that helps me hook up to,the trailer (really well in fact). From the home screen, page right to the last page and select camera (this only works from this screen), then select settings, and lastly select the trailer icon vs the road icon. This now give you a line on which to line up the trailer, as you get close to the trailer it will auto zoom in so you can be precise the last few feet. It's very helpful. Only issue is it doesn't auto turn itself off. If you now go into to reverse, it will still show you this trailer view. You have to go back into the settings and change it into the Road view. What MY is your rig? Sounds like a '16 from your description. I like the sound of this but it isn't cheap is it? Relatively, no. And I think only the Evoque requires LED lighting. The sport should handle good old incandescent lights without issue. 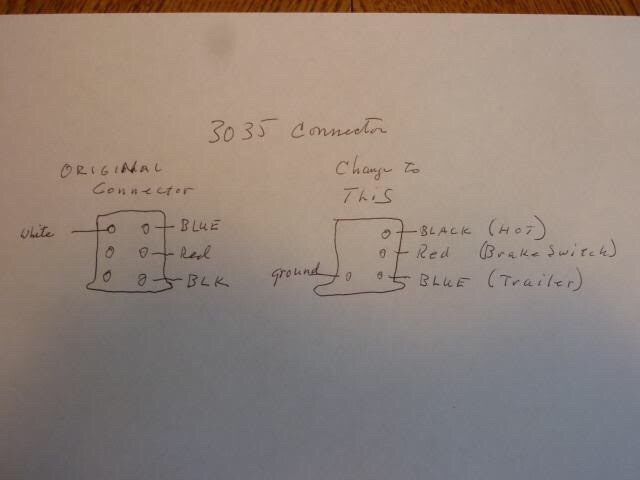 Correct me if I'm wrong but the service department used incandescent trailer lights to test and make sure I had a connection. what is everyone setting their brake boost at? im towing a 4000lbs trailer. also thank you op for this amazing post! You're quite welcome. With a 5000lb load, 4.5 works for my setup.